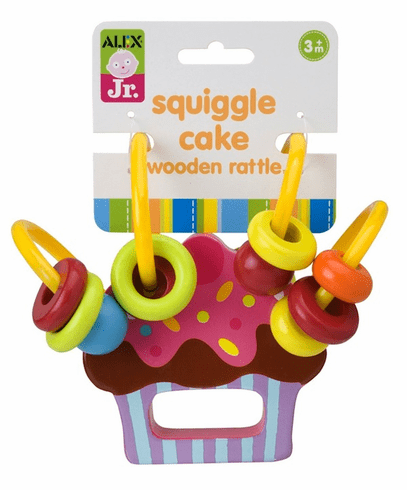 Squiggle Cake Wooden Rattle - Darling wooden cupcake rattle with beads that easily slide along soft tubing. Bright and colorful. Perfect for ages 3 months and up.